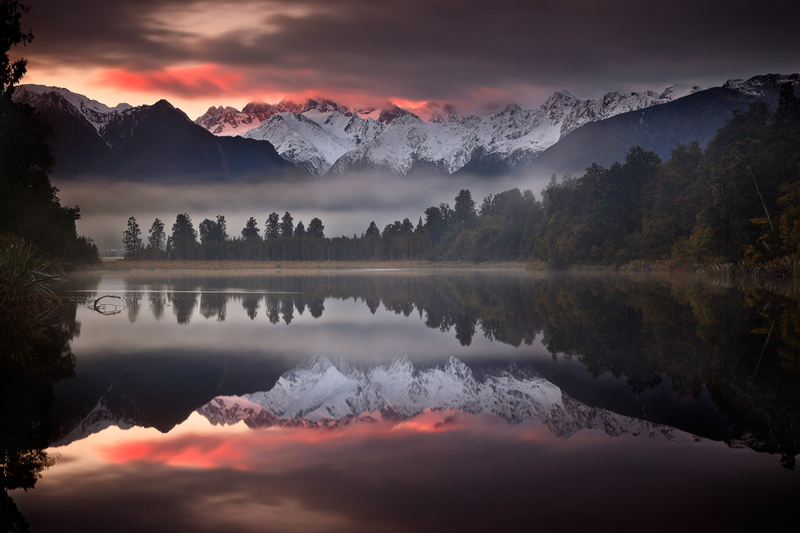 One of the things Lake Matheson is known for is its near-perfect reflections of two of New Zealand’s highest mountains, Mount Cook and Mount Tasman. If you are lucky enough, the mist will intertwine with the morning rays of the sun and create all sorts of crazy colors for you to make a breathtaking photograph like this one. Just for the record, Qureshi used a Canon 5D Mark II paired with a Canon EF 24-105mm f/4L IS USM set at 13 seconds, f/16, 50mm, and ISO 100 to capture the above shot. It’s a stunner, isn’t it?